Prestley Snipes: How To MAKE MONEY With A Music Video!!! How To MAKE MONEY With A Music Video!!! How can you make money with your music video besides monetizing it on YouTube? That's the question that every artist wants to know! 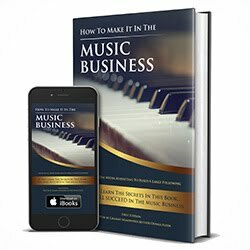 In this video, I give you several proven techniques that you can apply, which will help you generate extra revenue from your music video productions. Product placement is a great way to generate revenue through your music video. You can promote products in your video, and then sell those products, using links in your music video description. Sponsorship is also another option. There are plenty of companies who will pay to produce your music videos, if you promote their products in your music video. A popular music video that goes viral, with millions of views can also lead to you getting booked to perform at live shows and events. Touring revenue usually makes up for a large majority of any artist's income. A successful and well put together tour can easily generate millions of dollars, if not tens and hundreds of millions. I also answer the question, "Is it a good idea for an artist to allow random videographers to shoot content for them, or should you own and control all of your video content?". The answer to this question is, preference. In the digital age, it is wise to have as much content online as possible. That is my opinion on the question. Feel free to leave your thoughts on this question and any other topic that I discuss in this video. Make sure you subscribe and thanks for watching. What Happens When You Make A Hit Song??? Why YOU Should NEVER Depend On LUCK!! !